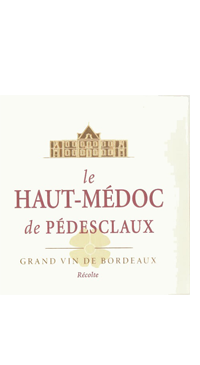 Chateau Pedesclaux is a prestigious 5th growth chateau in the Pauillac appellation of Medoc. The domaine’s vineyards are planted to Merlot (48%), Cabernet Sauvignon (47%) Petit Verdot (3%) and Cabernet Franc (2%). The soil is composed of gravel with clay and limestone with stones. The vines are tended to following the method of “ lutte raisonnée”, where minimal intervention takes precedent over sprays which are only used when absolutely necessary. Stainless steel temperature controlled vats along with traditional wooden barrels are used to craft the wines.